Adrianne Palicki and Nick Blood join an expanded cast for the improved second season. It’s been intriguing to watch the evolution of Marvel’s Agents of S.H.I.E.L.D from passable entertainment into a thrilling genre series. The much-anticipated show premiered to great fanfare in the fall of 2013 but lost viewers by slipping into the “monster of the week” format. Comic book fans expecting fireworks on par with the Marvel films were disappointed by the formulaic start. Despite a solid mix of respected veterans and fresh faces in the cast, the scripts just weren’t that interesting. The turning point came during the crossover with Captain America: The Winter Solider this past spring. The events of the movie and show wound into each other and brought higher stakes for everyone involved. There were real surprises, particularly the team’s betrayal by Grant Ward (Brett Dalton) and the mustache-twirling villainy of Bill Paxton’s John Garrett. The second season has built on this foundation and employed the formula that served a past great. Agents of S.H.I.E.L.D has become Alias, and I can’t think of a better model. Premiering in September 2001 and created by J.J. Abrams, Alias depicted an intricate world of spies, betrayals, and supernatural phenomena. Jennifer Garner starred as Sydney Bristow, a brilliant agent who believed she worked for the CIA. She actually served a criminal organization named SD-6 and worked to thwart their plans after learning about the deception. 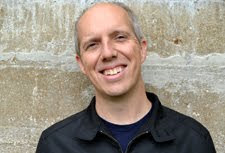 What made the series work were the personal stakes in the middle of the spy thriller. Sydney’s father Jack (Victor Garber) was tied to the conspiracy, and her relationship with CIA handler Michael Vaughn (Michael Vartan) grew into romance. The ongoing arc was driven by the inventions of a 15th-century genius named Milo Rambaldi. His remarkable devices kept the story moving as both the heroes and villains battled to find them. While Rambaldi’s gadgets made fewer appearances in later seasons, his presence lingered all the way to the final episode. The formula worked thanks to a sharp cast that included Kevin Weisman as lovable Marshal Flinkman, Carl Lumbly as Marcus Dixon, plus Merrin Dungey and a young Bradley Cooper as Sydney’s pals Francie and Will. Her friends helped make the first two seasons about more than the adventure. Alias thrived because of a breakneck pace that crammed so much plot and character into every story. The first season ended nearly every episode with a cliffhanger, and there was a real forward momentum that’s extremely rare. A similar pace has taken hold on Agents of S.H.I.E.L.D. starting with the 16th episode “End of the Beginning”. The Winter Soldier crossover initiated a stunning run that carried right through the season finale. That excitement has continued into season two and only grown with new characters added to the mix. Coulson’s (Clark Gregg) group feels like a real team that’s pushing back the forces of the villainous Hydra. They’ve grown stronger and more cohesive, and giving them a real mission has changed the entire tone. Making Coulson lead S.H.I.E.LD. and introducing formidable antagonists like the ageless Daniel Whitehall (Reed Diamond) has grounded the show by creating real stakes. 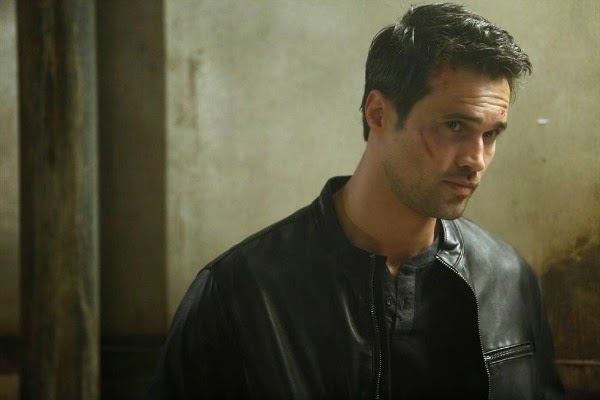 Brett Dalton's Grant Ward has become a lot more interesting since he betrayed the team. Another reason for the success is characters with unclear motivations. The best example is Ward, who seemed like a bland soldier until his true colors appeared. Following Garrett’s demise, he’s a free agent playing both sides. A good comparison is Alias’ wonderful Julian Sark (David Anders), who flipped allegiances regularly. He recognized when the tide was turning and bolted at an opportune time. Sydney’s mom Irina Derevko (Lena Olin) also only served her own goals despite caring for her daughter. The family dynamic between Sydney, Jack, and Irina along with Ron Rifkin’s Arvin Sloane raised the emotional stakes to much greater heights. Agents of S.H.I.E.L.D. 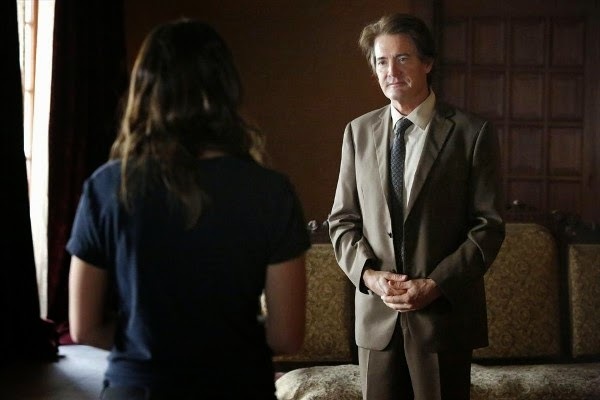 includes a growing father/daughter relationship between Coulson and Skye (Chloe Bennet) while she searches for her biological dad. He turns out to be a seriously unhinged Kyle MacLachlan, who transforms into a monstrous killer (Mr. Hyde) when he becomes angry. This family drama works a lot better than you might expect. I’m certainly not the first person to make this comparison. Charlie Jane Anders described the parallels at io9 back in October 2013. The connections were present at the start, but they’ve grown a lot stronger this season. Co-executive Producers/Writers Jeffrey Bell and Monica Breen played similar roles on Alias during its later years, and it’s likely that their influence has pervaded this series. There are some major differences between the shows, however. Alias focused on the growing relationship between Sydney and Vaughn. The ups-and-downs of their romance often dominated and seemed forced at times. It worked during the first season because the love was beneath the surface. Once it became a focal point and the writers threw obstacles in their way, the results were inconsistent. Agents of S.H.I.E.L.D. hasn’t spent much time on the romance, though the connection between Ward and Skye has received attention. The other major relationship is between Fitz (Iain De Caistecker) and Simmons (Elizabeth Henstridge). The science experts have a close friendship, but friction has arisen between the dynamic duo. Both actors are charming and sell the relationship, yet it’s still unclear whether the attention will pay off in the end. Beyond the specific characters, it’s the tonal similarities that connect the two series. Both find time for humor despite the high stakes. Co-creators Jed Whedon and Maurissa Tancharoen worked on Dr. Horrible’s Sing-Along Blog and know Joss Whedon’s voice. Agents of S.H.I.E.L.D. hasn’t reached the heights of his best work, but it feels at home in the Whedonverse. There’s also a cool sleekness to “the bus” (their high-tech plane) that wouldn’t seem out of place in Sydney’s world, especially APO in the later seasons. The sets are designed more to look striking than serve a function. The production design combines with the music to raise the tension. Michael Giacchino and Bear McCreary rank among the best composers working today, and both understand the type of show they’re supporting. McCreary has found the right tone for Agents of S.H.I.E.L.D., which is emitting a lot more confidence this season. It's been great fun to watch Kyle MacLachan chew the scenery as Skye's mad father. The mid-season finale “What They Become” was a telling example of the ways Agents of S.H.I.E.L.D. has thrived this fall. It culminated ongoing arcs like Skye’s search for her father and locating the underground city. Coulson’s and Whitehall’s forces converged on the pivotal spot, and not everyone survived. Comic book fans recognized clues to the identities of Skye and her dad plus connections to other Marvel properties. It’s a relief that the show doesn’t suffer if you miss these references. It deepens the story to learn more about the comics’ background, but it’s hardly necessary. Alias built a complex mythology with Rambaldi, but remembering every device wasn’t needed to enjoy the mayhem. This depth can reward longtime fans and introduce multiple layers that weren’t present at the start. Agents of S.H.I.E.L.D. continues to surprise and has built the foundation to keep getting better. Interesting comparison. I admit I didn't draw the parallel. I thought Alias was fantastic the first season and a half, then they ended the main concept and threw in a huge twist at the end of the second season. I watched the third season and it turned me off. To me, they had written themselves into a corner and didn't know how to get out because they hadn't planned ahead. I didn't watch the last two seasons. When I started hearing friends complain about the same things with Lost as it went along I told them I hoped that Abrams had learned to have a plan, but it sounds like he didn't there, either. I was one of the people who didn't have an issue with the first season of Agents of SHIELD. I wasn't expecting it to land with a bang because other shows from Joss Whedon (I know he only checks in once in a while, so it's not really his show) started slowly, too. The season enders were always great and the season openers tended to be just "ehh". In this case Alias wins hands down because it had what might be the best pilot episode I have ever seen for a show. One thing I do like about Agents of SHIELD is that it has already answered the major questions it has brought up: Coulson being alive, Skye's parents, and the mysterious carving. To me, it's a sign of weak, unimaginative writing to keep drawing out the same mysteries for years, in fear that if you ever answer them people will stop watching. Instead, SHIELD has answered the big ones and now started some more - like how the newly superpowered character will fit into the dynamic. I actually consider season 2 inferior to season 1 in one regard: for me there's just too many damn characters running around on the team. And no, it's not that I can't keep track of them. Hell, I watch Game of Thrones. No, it's that I miss the depth of character that we were able to get the first season when there were only six of them. That's pretty much fallen by the wayside this season. Chip, I appreciate the great comment. I agree that Alias was at its best during the first two seasons. It still had high points afterwards but didn't sustain the same level. What I'm comparing is more of the tone of the shows, which can feel really similar at times. Alias does have an amazing pilot like you say, and it's first season is remarkably strong for a new show. I'm also glad that Agents of S.H.I.E.L.D. keeps the story moving and isn't afraid to close down a story line. It helps that they have a lot of areas to tackle from the Marvel universe. They even were willing to kill Daniel Whitehall despite all the great work from Reed Diamond (despite his terrible German accent in the past). I do like the ongoing stories like they've had in S2, but I think they needed the smaller group to help us get to know the leads in S1. It set the stage for what's working now. The thing about Abrams with Alias and Lost is that he wasn't very involved after the early seasons. With Lost, I think he mostly did the pilot and set the stage for the first season. It was really Damon Lindelof and others that ran Lost for most of its run. Alias had different show runners during its final seasons, and that made a huge difference. That doesn't mean Abrams wasn't involved at all, but he was working on MI3 during the last few Alias seasons. Glad to hear it! There isn't as much of a love story on Agents of S.H.I.E.L.D., but I feel like they've found a similar tone this season.